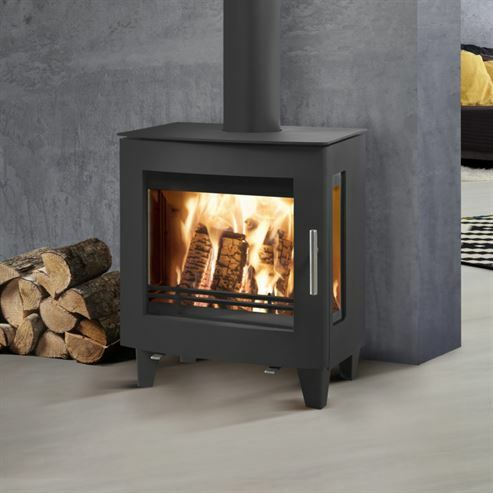 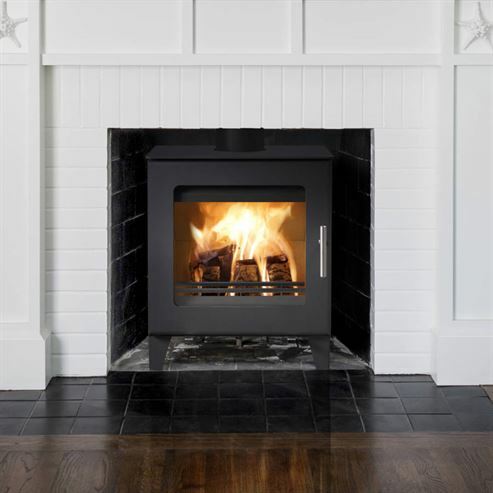 A signature Westfire woodburning stove, the Uniq 23 features a crisp angular design and large glass area for a great fire view. 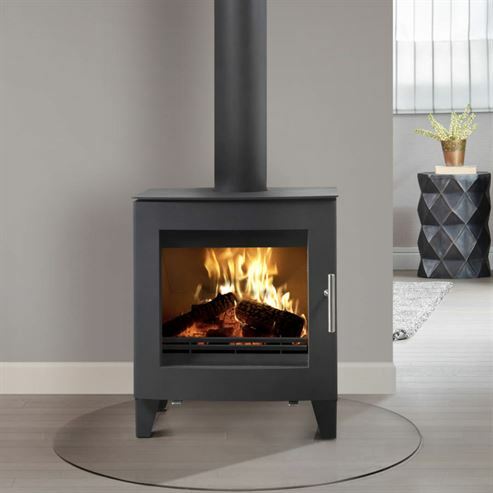 With either 300mm/100mm/50mm cylindrical legs the stove sits beautifully on a hearth and its contemporary looks are perfectly complemented by its modern vermiculite lined burn chamber. 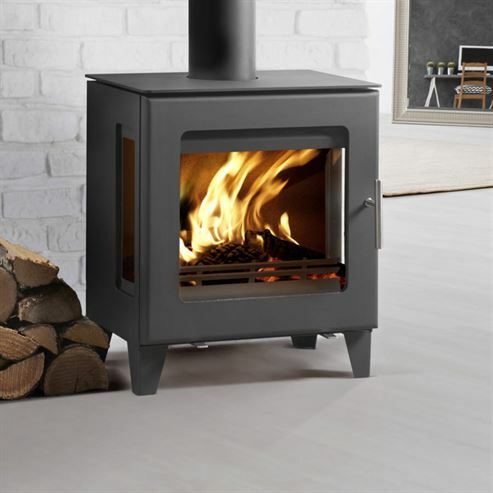 A dual body gives full convection heating while its high efficiency combustion and clean burn technology make it a dream to use, even with smokeless fuels.